Many students have difficulty knowing what to say when they reach out to a faculty member or research advisor for the first time. Each situation is different, but our tips for writing an email can help. One way to find a research opportunity that interests you is to review the current postings in the OUR database. Included here are a wide range of potential research experiences, including those connected with particular courses, volunteer positions, paid positions, and mentored scholarship that can lead to an undergraduate thesis. The postings include project descriptions, links to web sites with additional information, and contact information. The faculty who posted these opportunities have specified appropriate student majors for these positions. There are also many funding options through different campus departments and centers, so check with your own department for additional opportunities that may be available to you. OUR is only one of many units across UNC-Chapel Hill provide opportunities for undergraduates to engage in research. This link includes some of the programs offered by other units and is intended as a quick reference guide for administrators, faculty, and students. Programs are listed in alphabetical order by the administrative unit. This page is updated quarterly so some programs or links may have changed. If you are aware of changes or additions that should be made in future versions, please email them to our@unc.edu. Many companies and organizations nearby have internship or workshop opportunities that involve research. If there are companies that work in an area you care about, try contacting the company to see whether they have a formal internship program, or whether they have other opportunities for you to work with or shadow a researcher. Any Triangle-area opportunities OUR has heard about are listed here, but you should also talk to UNC Career Services or to your advisor. This site was designed for students who intend to apply to graduate programs, but it includes resources that are helpful for undergraduates who want to identify faculty working in particular research fields. There are also many research opportunities and programs available outside of UNC. 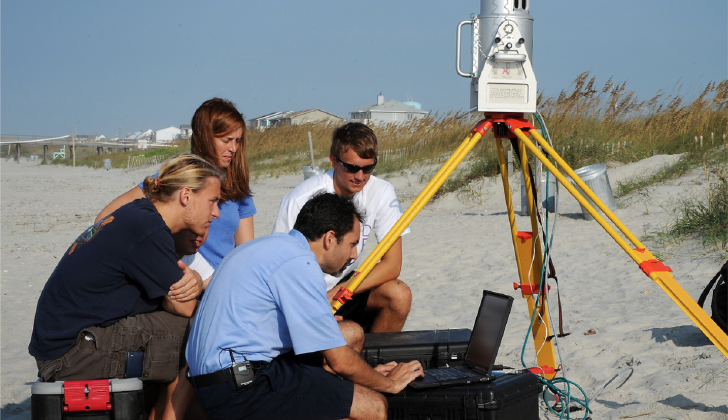 The National Science Foundation has compiled a site of Research Experiences for Undergraduates (REU), providing links to research opportunities in the natural sciences.